In case I didn’t say it before…HAPPY NEW YEAR, you guys. The New Year means RESOLUTIONS. The New Year means forcing myself to go “yogging” in the bitter cold. It means occasionally lifting a 7.5 lb dumbbell above my head in a very flimsy fashion. But, self-disparagement aside, it also means I’m feeling motivated, y’all. And: thanks to some new spray deodorants that make perfect gym bag companions, it means I am feeling fresh. And fly. And definitely not smelly. You read right: spray deos. The first I’ve ever tried, as a matter of fact: Blissoma’s Juniper Natural Deodorant Aromatic Spray and FreshBod. Prior to this little test run, I’d been beholden to my solid deodorants of choice: Soapwalla and Schmidt’s. Both of these have a paste-like consistency and contain natural, safe, sweat-absorbing powders. Soapwalla contains corn starch, baking soda and kaolin clay; Schmidt’s has baking soda as well, plus arrowroot powder. So, it was hard for me to imagine how a spray could ward off sweat. There’s no powder in a spray! Welp. The answer is that spray deodorants do not tackle your sweat. 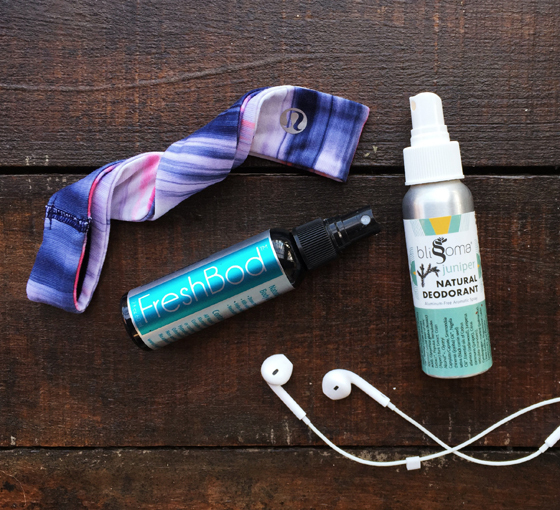 Spray deos are pro-sweat, anti-odor. Sweating is a normal, healthy function that removes toxins from the body. Sweat becomes *smelly* when it interacts with bacteria on your skin. These sprays combat bacteria to prevent odors. With a spray deodorant, thou shalt sweat. Thou shalt not smell. For that reason, I prefer to use these sprays as a companion to my regular deodorant: post-workout spritzes or a quick spray before starting the evening/night shift. We’ve said it before, and we’ll say it again: deodorant is one of those essential products that needs to work! (No gal wants to clear a room because her well-intentioned, natural deo was a bust.) 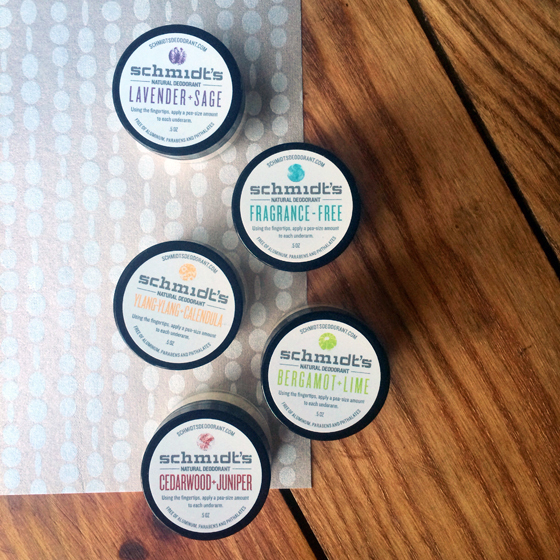 As you may have seen in our last post, we were very happy to discover that Schmidt’s Deodorant is one of those go-to, dependable products for everyone interested in using a healthy, natural option. 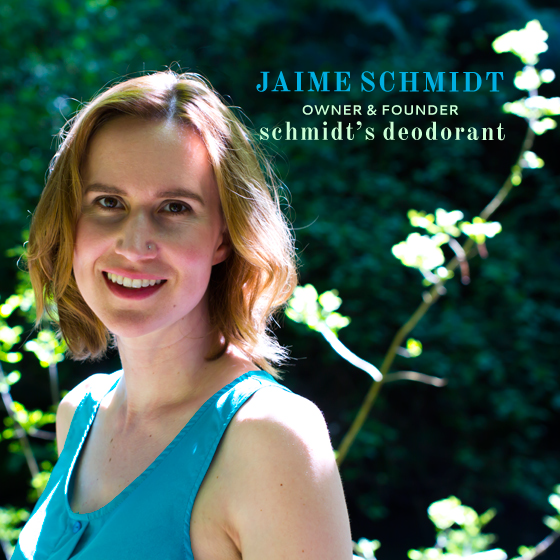 That’s why we were psyched to ask Jaime Schmidt, founder of Schmidt’s Deodorant, some questions about the natural deodorant biz and the Schmidt’s process. 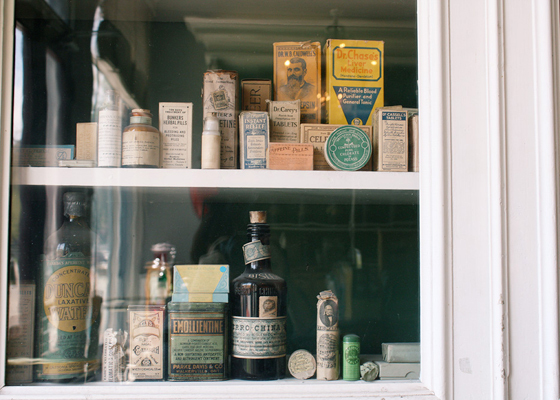 Read on to hear from Jaime, the natural deo master herself: she discusses her process for selecting scents, the future of the natural deo industry, and a bunch more. Schmidt’s Deodorant has truly glowing reviews. What makes your formula stand out among other natural deodorants? How did you develop it? Thanks! There are a few things that stand out about the formula. 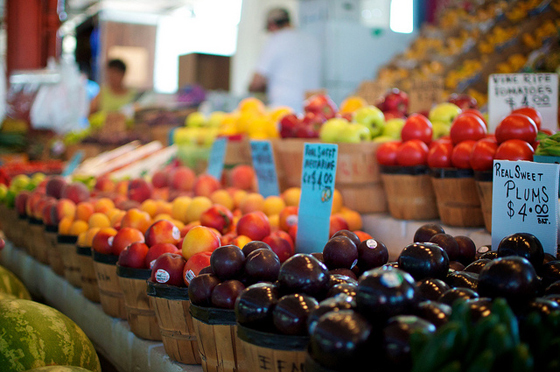 First is the ingredients and their sourcing: we use only the highest quality ingredients available. Then there is the production, which not only requires a specific combination of ingredients, but a very careful and “secret” process that gives us the great consistency and hand feel we’re looking for. This took over two years of R&D for us to get it exactly right. Of course, we put a great deal of effort towards our packaging as well: we want to ensure a positive, new kind of experience with deodorant. Let’s talk about the “science of smell” and how your ingredients like baking soda and natural plant powders absorb wetness and fight odor. How does that work? 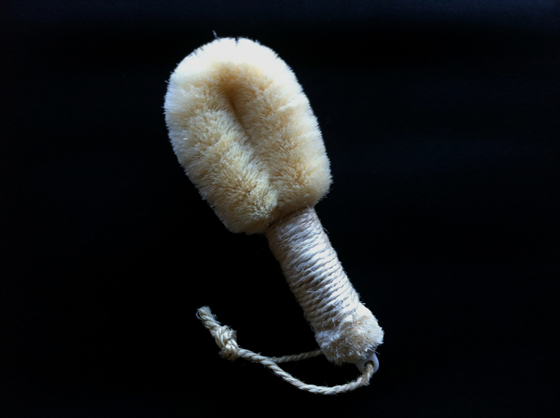 One key is to allow for the body’s natural process of perspiration – we don’t include chemical ingredients like other deodorant brands that are designed to keep you from sweating – rather, we use plant-based powders and top-quality baking soda to absorb the wetness if you do sweat. 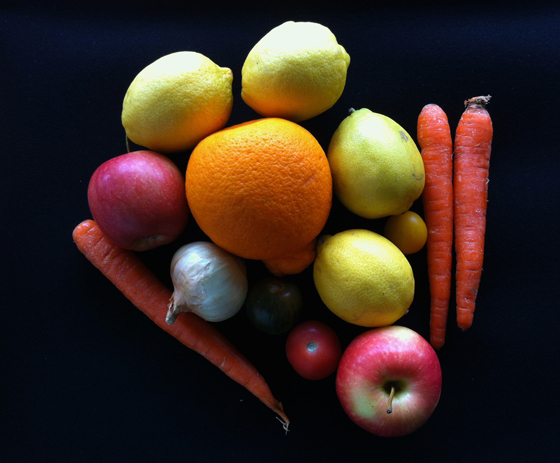 These ingredients you mentioned, and more, help to balance our body’s natural odor in a more health-conscious way. We try out our fair share of all-natural skincare, beauty and body products over here at Unsullied HQ (read: in our respective living rooms). In terms of the products that don’t quite wow us…we don’t lose sleep over a tube of too-sticky lip gloss or odd-smelling soap. But a deodorant that doesn’t perform? There goes our social life. The stakes are HIGH during deodorant trials! Fortunately for us, we had few qualms about taking all-natural Schmidt’s Deodorant ($9 for 2 oz.) for a test run. Their press page features glowing reviews of tear-inciting effectiveness (“I literally cried after a day of wearing it”) and we’ve heard from bloggers and green beauty fans alike that Schmidt’s has a winning formula. 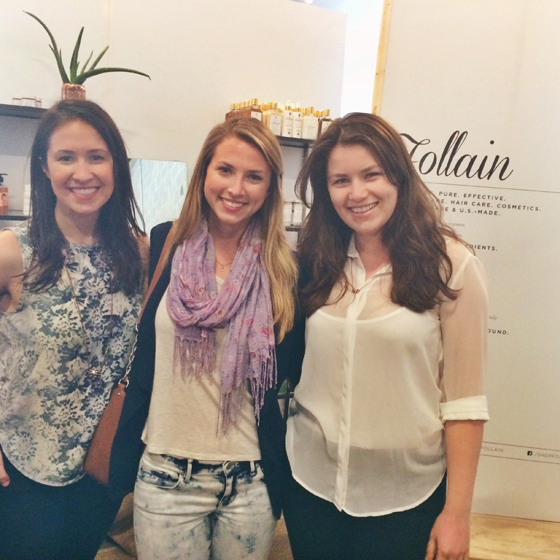 In a world where effective natural deodorants can be a bit elusive…that’s a big deal! So, how does it work? Schmidt’s contains plant-based powders and high-quality baking soda to absorb wetness and neutralize your B.O., you smelly person (kiddin’). Plus, shea butter and cocoa seed butter act as skin conditioners. Schmidt’s is completely free of the usual suspects that “sully” drugstore deodorants…aluminum, parabens, and more. 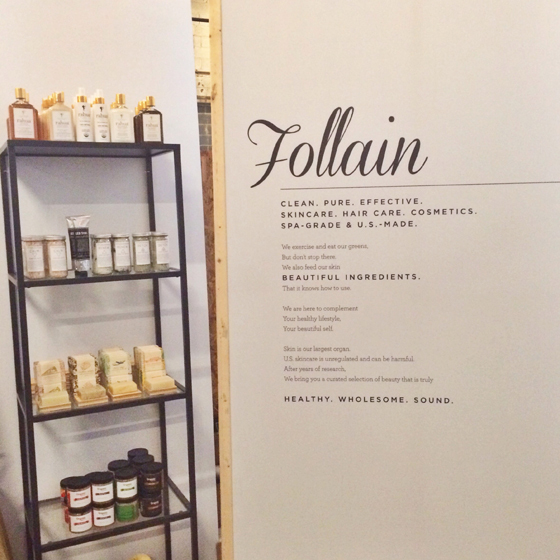 We wrote nearly a year ago why all-natural deodorant is critically important to us. Underarms are a sensitive part of your body – but more importantly – they’re close to your breasts – and you don’t want any strong or potentially hazardous ingredients/chemicals there. No way, Jose. Well, the results are in and…YES, Schmidt’s is the REAL DEAL. Rejoice! Champagne & Self-Reflection: It’s Almost 2014! Oh, and thinking about New Year’s resolutions. Right, that. Both of us feel that the New Year is an incredible opportunity to reset and recalibrate. Sounds cheesy, but it’s true. 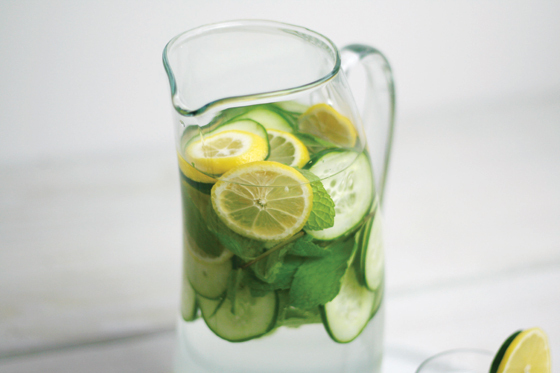 It’s hard to adopt new rituals and make major lifestyle changes all of the sudden. But the New Year brings renewed purpose and perspective. And we don’t want to let it go to waste. We decided to highlight one goal each for 2014: a goal that we can track throughout the year, whether via our Twitter and Instagram pages or in entries down the road in 2014. Here they are!